Surveys show that people fear public speaking more than death. 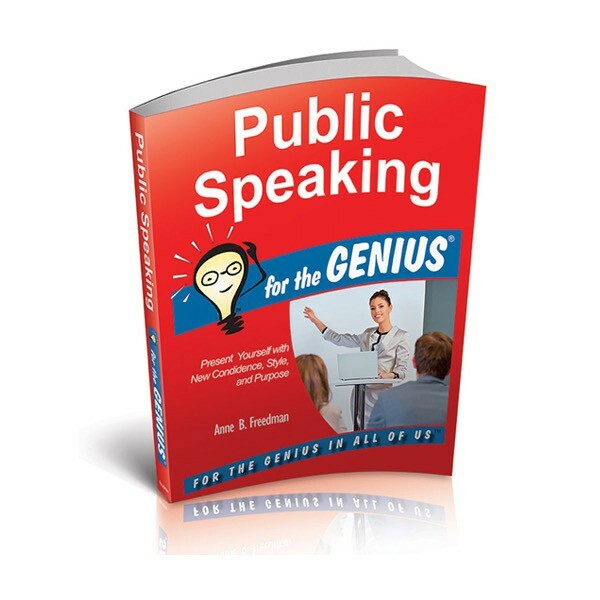 If you do no more than overcome this fear so you’ll be able to speak before audiences with confidence, Public Speaking for the Genius, will have been an amazing find. But it will do that, and much more! Indeed, this is the one book for both beginning and experienced speakers. Even if you’re not afraid of speaking in public, knowing how to do it without appearing boring or awkward is not easy! With so much competition for attention from cell phones and other digital devices, the person who can successful get a group to listen definitely has the edge in business, educational and community circles. Those who don’t master this vital skill can stay stuck on the sidelines, passed over when promotions and other new opportunities arise. Click here to get your book now, at Amazon!